We have recently started working with Stagionello, an Italian company who develop and produce Climate Chamber units for the curing of meat and Maturmeat for dry ageing of meat. We work with them for new sales, also maintenance of repair of existing units. We are UK based, but with our contacts and direct supply from the Manufactures we can assist with all faults. Anna - one of our Engineers recently attended a Master Class training course at the head quarters in Italy. 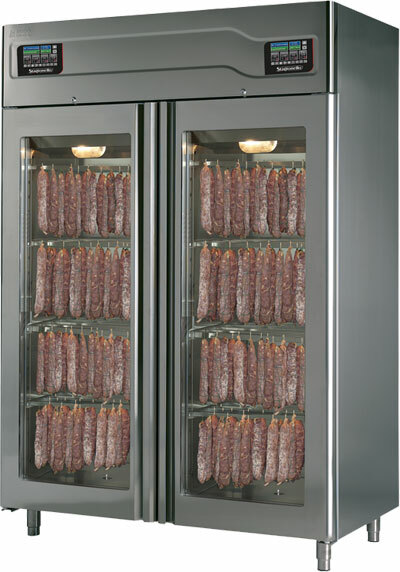 Visit our Salami Cabinet website for more details and you can view product information and full specifications on the Stagionello website.